Recently, I was browsing my company's website (see the sidebar) and came across a project that I worked on while I was an intern for the company. 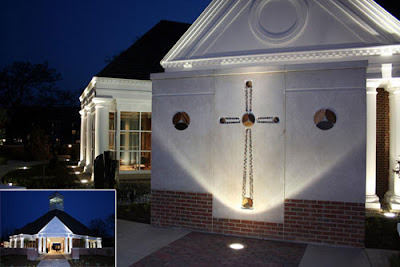 The project was for Taylor University and was a memorial prayer chapel. I worked diligently along side my boss on this project but because of school starting, I was never able to see the project through to end. I have since seen the finished product and it made me so excited since it was my first project ever executed. Here are some images of the building. 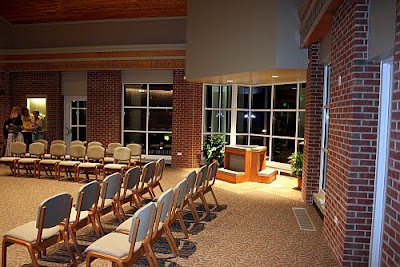 I was especially proud of the pulpit/prayer kneelers that I designed and passed on to a local woodworker to fabricate. The building is gorgeous. Lovely images! Such a pretty building.